Macerata is a beautiful and quiet small town in the central region of Marche, immersed in its medieval atmosphere and surrounded by nature, renown for an open air summer opera festival. 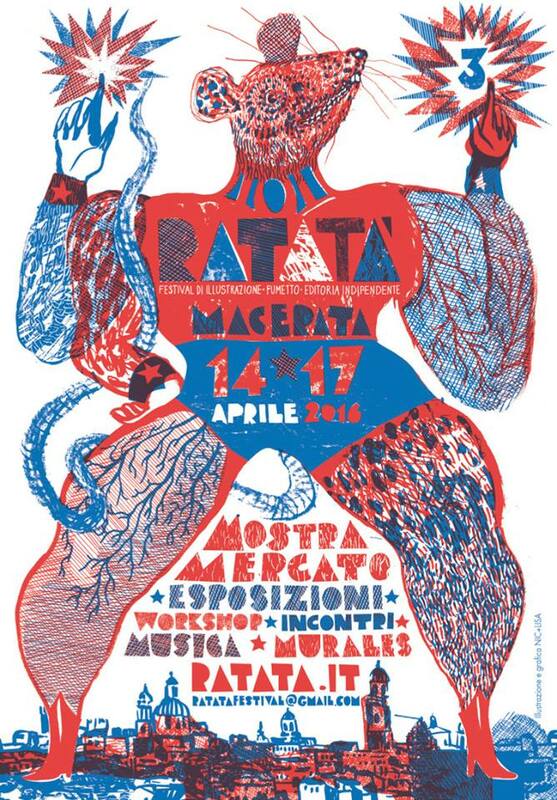 Macerata is going to enlivened this week end by Ratatà festival. The third edition of this independent art, comics and illustration festival hosts art shows, an art market , gigs&presentations, urban art events and much more. Ratatà is the perfect chance to have an overview of the emerging and independent Italian art and illustration scenario. If you’re travelling in this area don’t miss it, if you’re far away browse the festival website where you can find news, inspiration, and discover more about contemporary independent Italian artists and illustrators. Click here for info and useful tips about travelling and accommodation, eating out and more in Macerata’s area.